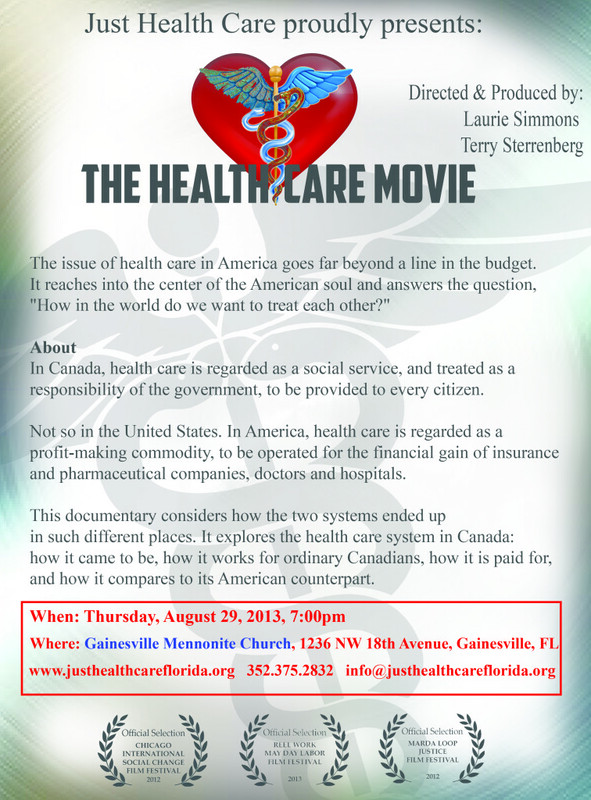 On Thursday, August 29, 2013, Just Health Care will be screening The Health Care Movie at the Gainesville Mennonite Church at 7:00 pm. The documentary compares the health care systems in Canada and in the U.S. Join us for a discussion after the movie to share your thoughts of what you have seen, or share a story about your own health care experience. Snacks and refreshments will be served.